London based jewellery designer Mikey specialises in unique, wearable glamour for all occasions. 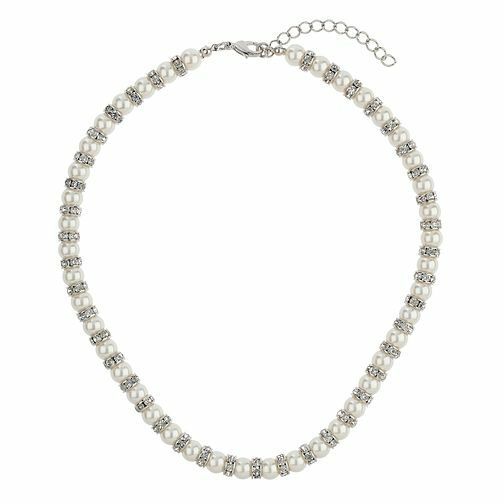 This elegant necklace alternates imitation pearl beads with crystal set rings, combining beautiful shimmer and sparkle. Stylish and glamorous, this necklace is perfect for both day and evening wear. Mikey Imitation Pearl & Crystal Ring Necklace is rated 4.0 out of 5 by 1.